For those of you in attendance at EDC’s last year in Los Angeles, you undoubtedly have not forgotten the almost-riot that began when attendees surged over the fences separating the Coliseum floor from the stands. And who was called in to quell the anxious masses? None other than Lil Jon, who, along with the threat of shutting off the music, seemed to be the only one capable of bringing the crowd back to its senses. 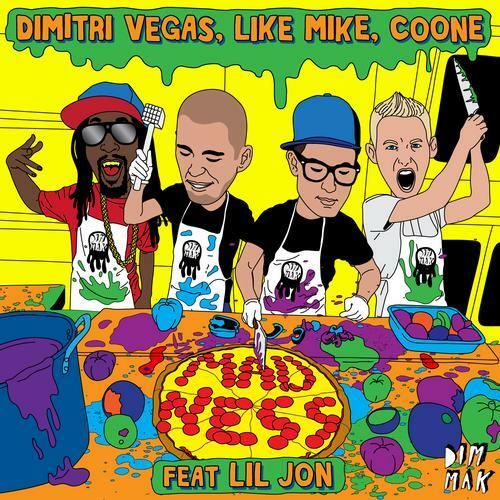 This may have been the rapper’s first appearance in the electronic festival world, but the legacy that began 2 years ago continues with “Madness.” Produced by Dimitri Vegas, Like Mike & Coone, Lil Jon’s signature vocals cut across the track in the poignant eruptions we have come to expect. Add to that the flat slaps and metallic bassline, features of hardstyle that must have been the brainchild of Coone, and you have quite the festival pleaser. If you like what you hear, show Dimitri Vegas and Like Mike some support, as they have just been nominated for the International Dance Music Awards for Best Breakthrough DJ.